Have you ever seen a nurse in a wheelchair? Would you be concerned if they were looking after you? You immediate answer might highlight that mindsets are often closed to disability in certain arenas. It’s a hugely interesting area and I say that not just because I come from a health science background myself but because it has really made me think about how I view certain professions. 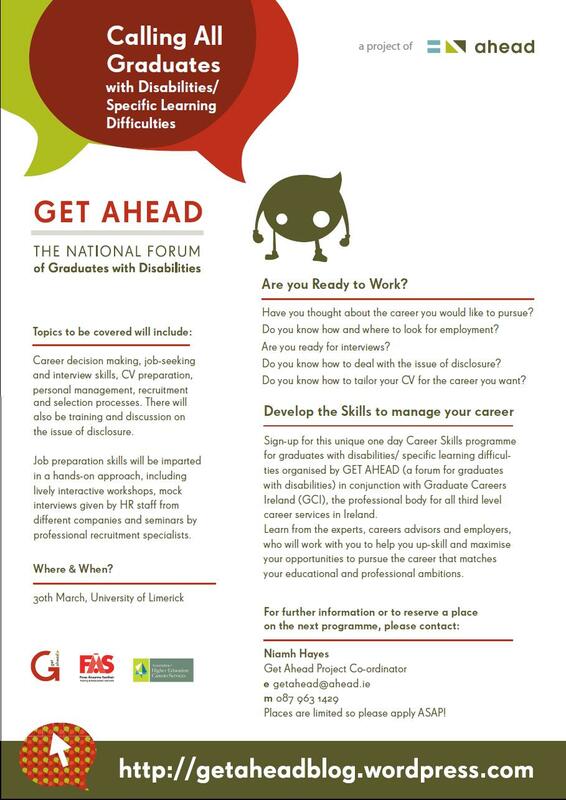 Students with disabilities, particularly deaf/hearing impaired students are restricted from teaching professions and while there are no shortcuts to equality for these students, it’s great to be able to discuss the issues and move forward. I am of course talking about our annual conference. 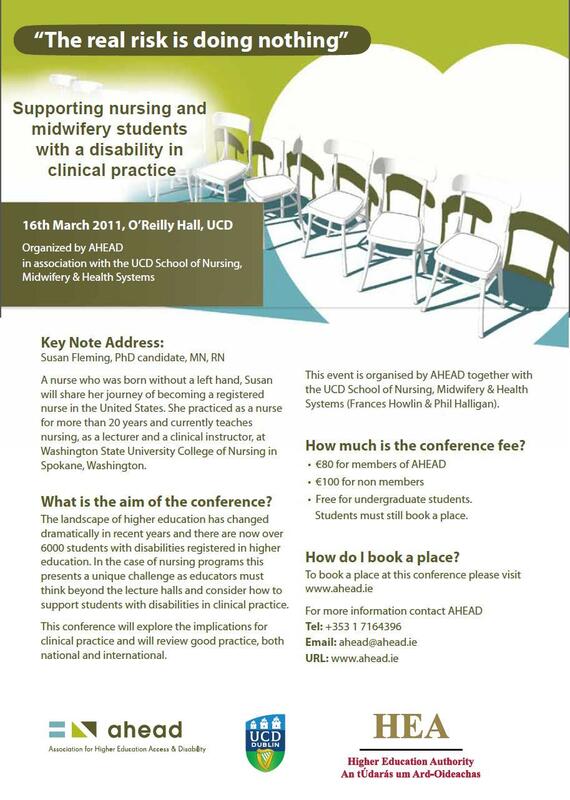 This year taking place on the 16th March in O Reilly Hall, UCD. While that may be somewhat of a mouthful, just watch the video below to get a sense of what will be discussed.